The University of Calgary in Canada has signed agreements with two of Sri Lanka’s top universities to collaborate on educational and research activities and exchanges of students, faculty and staff, with the next planned step of exploring a PhD Cotutelle program (dual degree program) between University of Calgary and the two Sri Lankan universities. 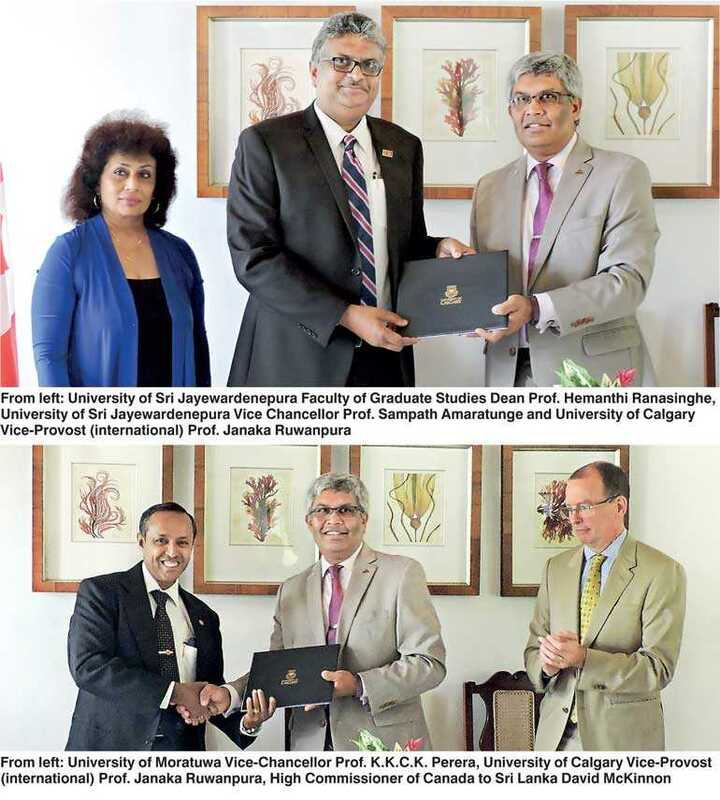 In 2015, The University of Calgary signed an agreement with the Universities of Moratuwa as part of the Canadian Queen Elizabeth II Diamond Jubilee Scholarships (QES) program. This agreement enabled four Canadian engineering students and two Sri Lankan students to participate in internships and internationalise their education and research. The University of Calgary is a global intellectual hub located in Canada’s most enterprising city. In a spirited, high-quality learning environment, students thrive in programs made rich by research, hands-on experiences and entrepreneurial thinking. One of the key priorities identified as vital to the university’s future success is internationalisation. The world’s top universities are all international in orientation with well-developed global webs of interaction that help them to create, disseminate and apply knowledge.